Hispanic Heritage Month is Sept 15 - Oct 15 and is a great time to introduce these graphic novels in your classroom. However - these choices are great year-round and this culture, and the amazing history, should not be regulated to just one month. We need to increase representation in our classroom and school libraries so we can all see ourselves in our literature. Green Lanterns. DC Comics. These two new Lanterns are part of an excellent ongoing story arc. Simon Baz is African-American and Jessica Cruz is Mexican-American Latino. 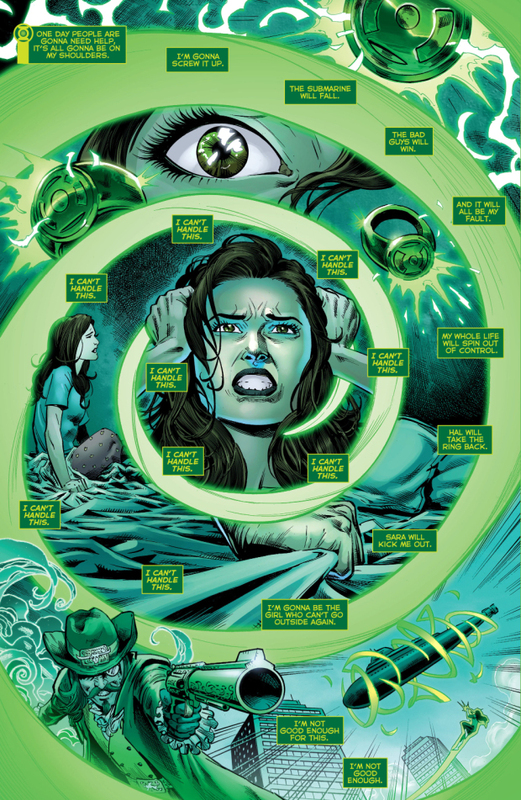 The following link is an excellent resource that discusses the background of each character - https://www.cbr.com/green-lanterns-core-who-are-simon-baz-and-jessica-cruz/. Jessica suffers from anxiety and often does not have enough willpower to activate her ring. As educators, we are seeing more and more students with high anxiety and I find Cruz to be a wonderful teaching tool when trying to inspire these students to overcome their own hurdles. New comics in this line can be purchased every month, or you can also buy the collected trades. This is an amazingly powerful resource for the classroom as it is bilingual and a primary source. The stories are told side-by-side in English and Spanish with identical images and content. This book was created through the efforts of students who wanted to share their truth and to help change the narrative about immigration and Latino Culture. These emotional and honest stories can help other immigrants feel alone in these highly political times and also serve as an amazing educational tool for all of us. Students will immediately feel connected as these stories are written by their peers. Each page of artwork is different than the rest and impact the reader on various levels. Many of these artists draw in a “simple” and accessible way that just adds to the emotional impact of their stories. I read this book during the summer of 2018 and was absolutely blow away by the history that I did not know as a History teacher. There is a lot of culture and history given to the reader in just one book. The artwork immediately grabs the attention of the reader as there is so much happening on each page. This is a great tool to use for teaching close reading! The story of Mexico and its relationship with the USA is complicated and multi-layered. Stavans writes not only about the historical events and people, but also of the pop culture of both places and their interaction and impact on each other. This year, I will assign a different story to different groups of students and have them read and then report out to the class. This anthology of history and culture was put together after the impact of Hurricane Maria - the impact of which is still very much being felt. All sales of this book go to help the rebuilding efforts in Puerto Rico. I learned so much about the cultural depth of Puerto Rico and its history through the many stories in this book. There are many short, accessible, and beautifully drawn topics on history, culture, religion, struggle, and strength throughout. I will be using many of these stories in my classroom this year - it will be powerful to give each student, or pair of students, a different excerpt to read and to then explain to the class. The main hero of this story is La Borinquena - who happens to be an Afro-Latino woman powered by, and concerned with the environment. DC was awesome enough to give permission for the author to also use many of their heroes in this story - Wonder Woman, Superman, Flash, and others. This alone is enough to have students want to grab the book and read it when displayed in a classroom library. The artwork is absolutely stunning and worthy of being made into inspirational posters. This anthology has a line-up of incredible authors from the comics industry - Gail Simone, Frank Miller, to just name two. There are also many Latinx celebrities as well - Rosario Dawson and Ruben Blades being two examples. All proceeds from the sale of this book go to help those in Puerto Rico. This is a prose book of collected essays focusing on Latino artists and writers. The essays are diverse in content and also discuss the impact of Latino culture on mainstream comics/pop culture in the USA as well. Miss America (America Chavez). Marvel Comics. The self titled comic, written by Latin-American LGBTQ novelist Gabby Rivera, is no longer being published, but the collected trade is widely available. America is a vital ongoing part of the new comic and TV show - Marvel Rising. America is an openly gay Latino character and is wonderfully powerful! I have used this comic in my classroom to great effect - what is the difference between Latino and Hispanic? It is an honest and open discussion about culture and geography.